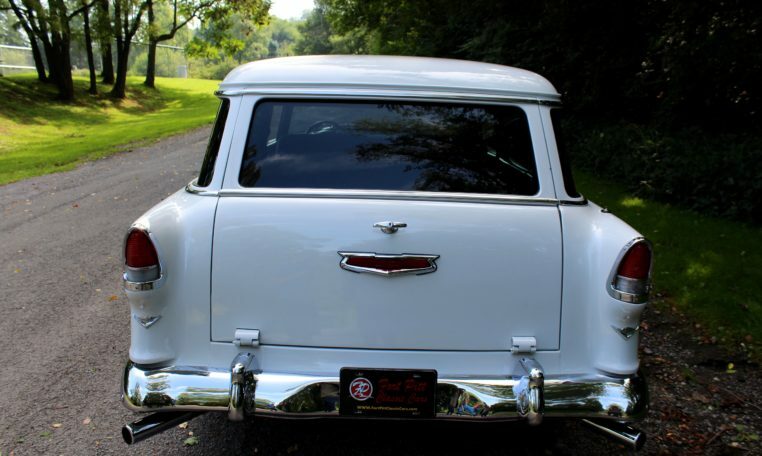 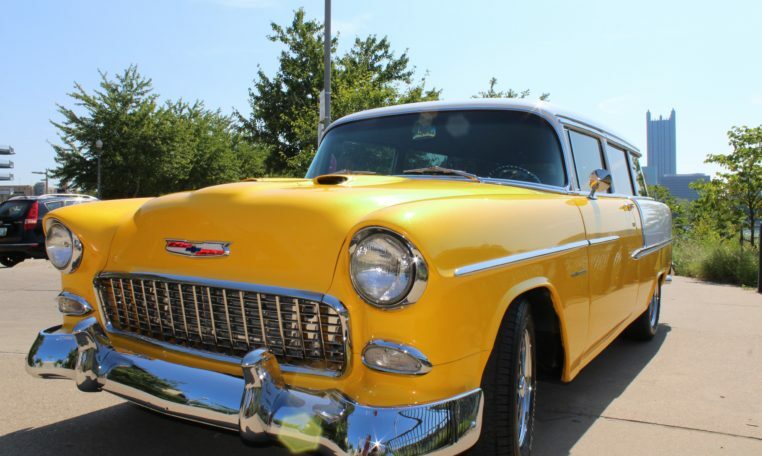 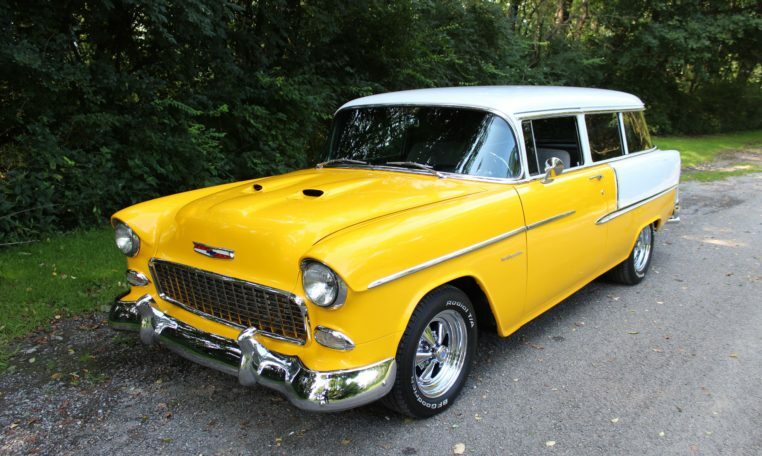 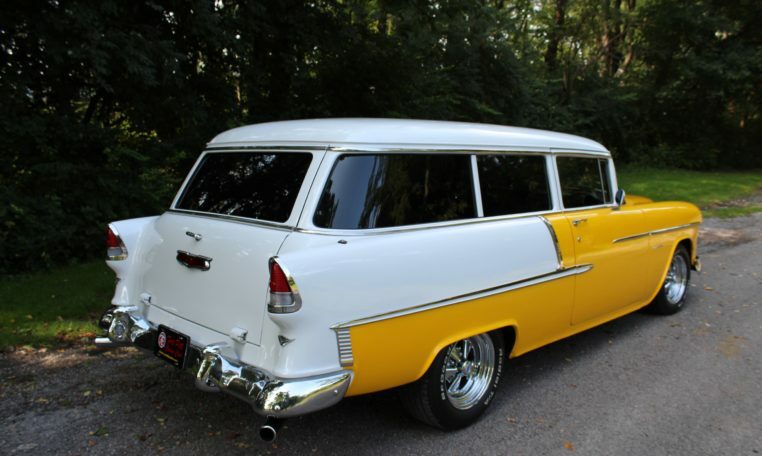 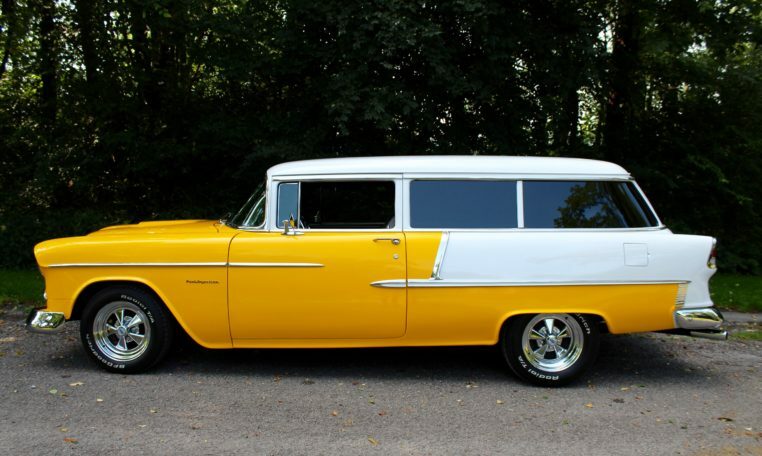 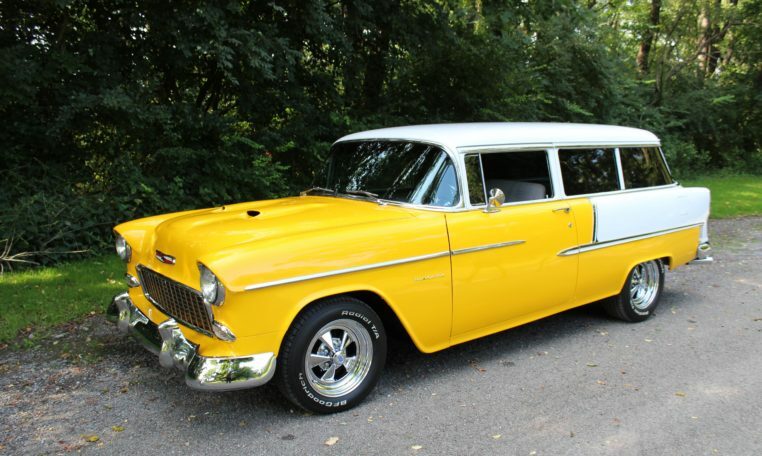 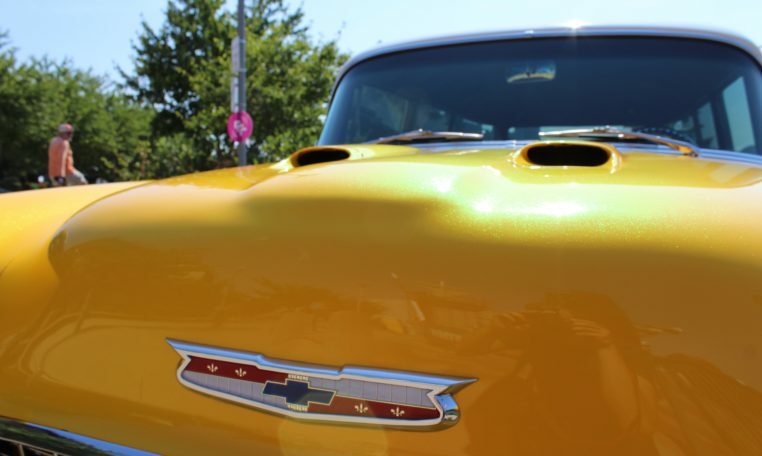 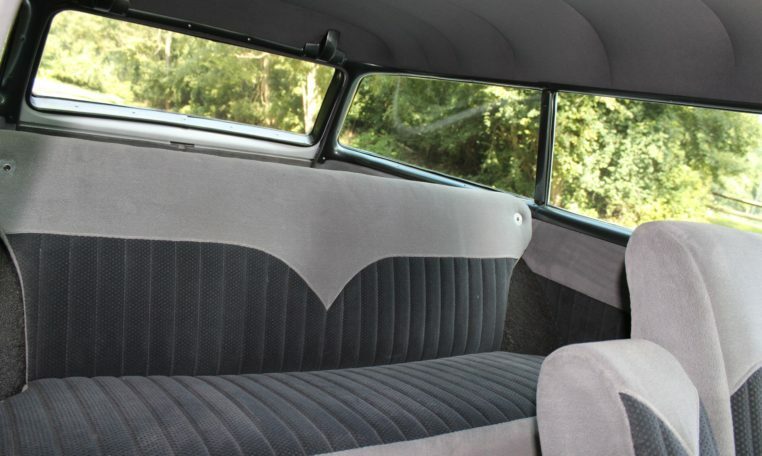 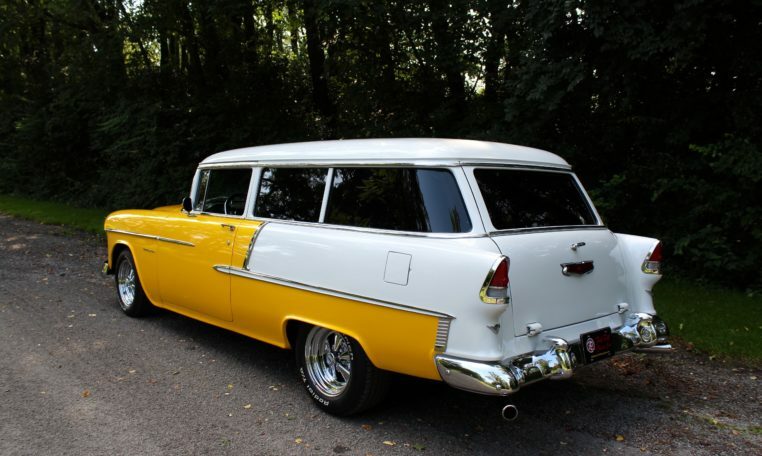 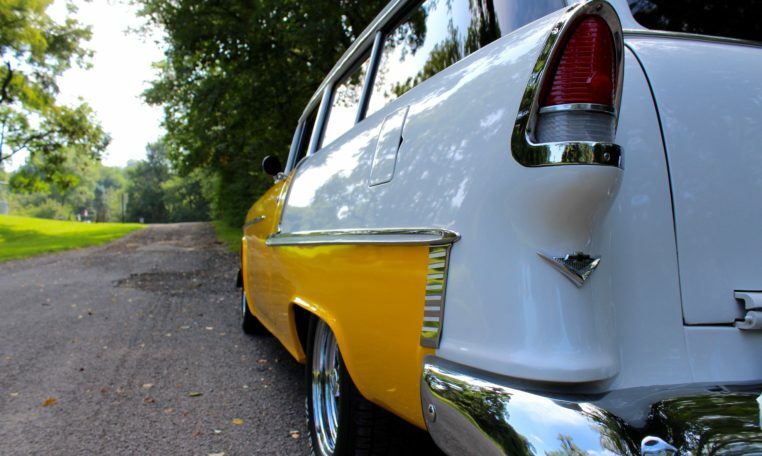 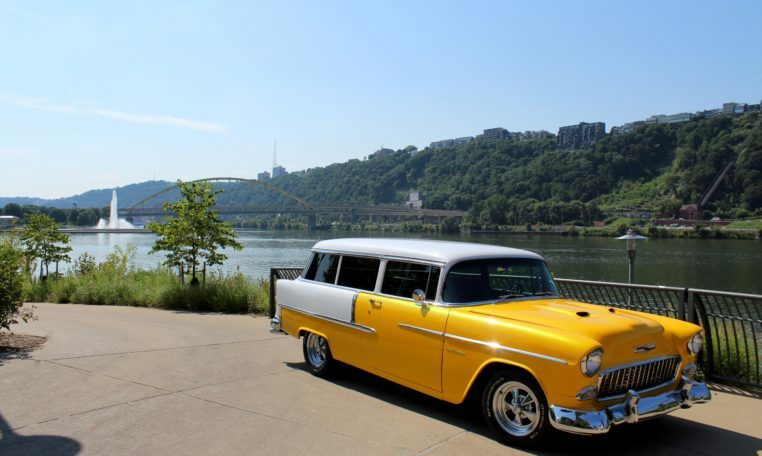 This 1955 Chevy 210 Two Door Wagon is restored, upgraded, and road trip ready. 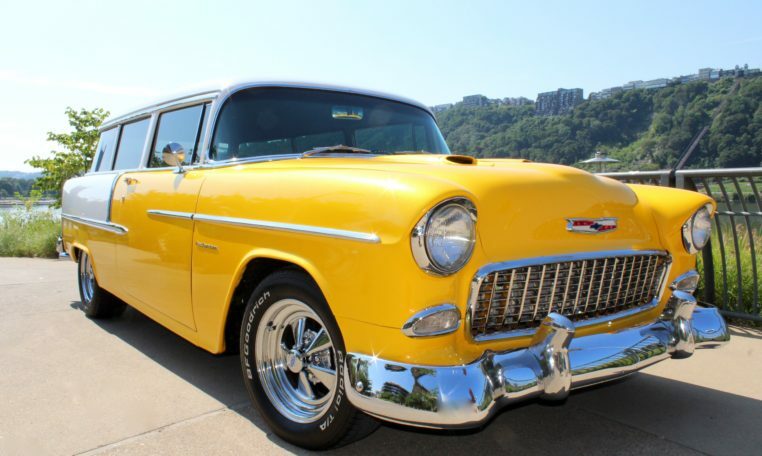 The seller bought the car at Mecum auctions in 2015 from a person in Maryland who had recently restored the 210. 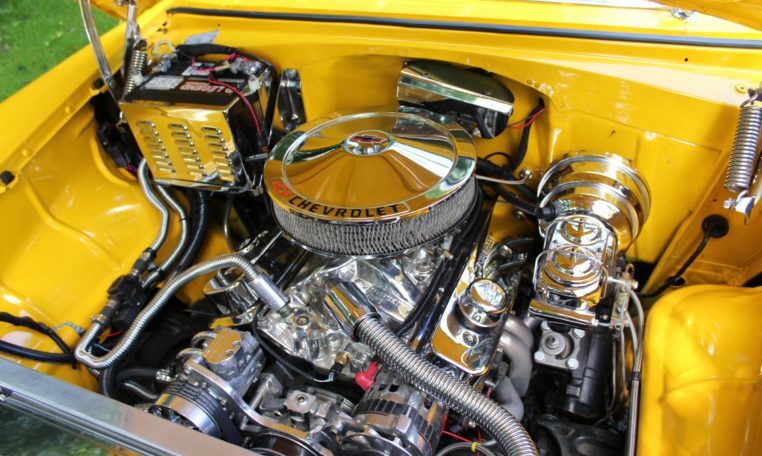 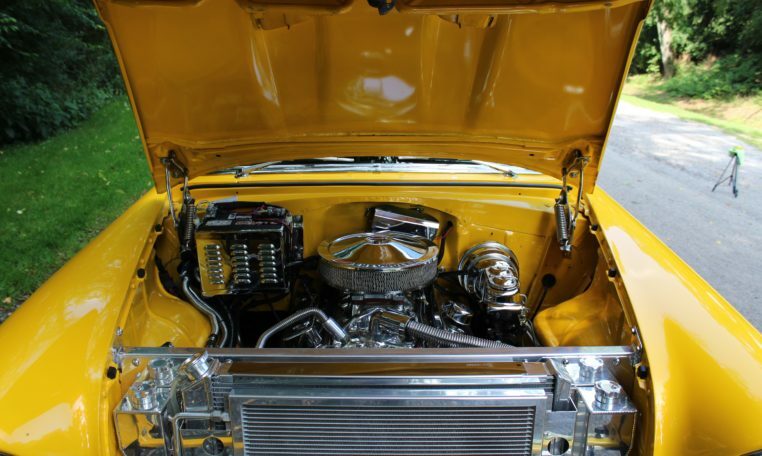 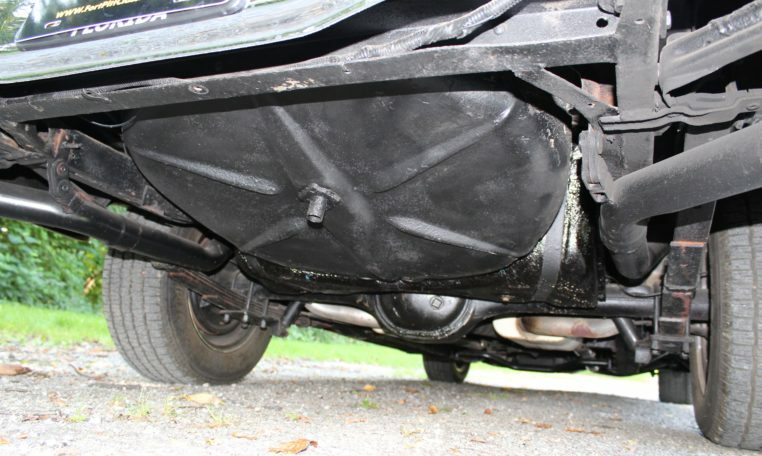 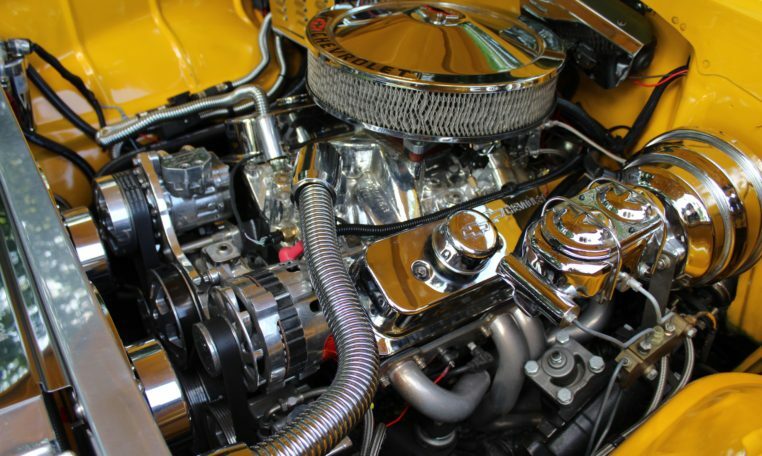 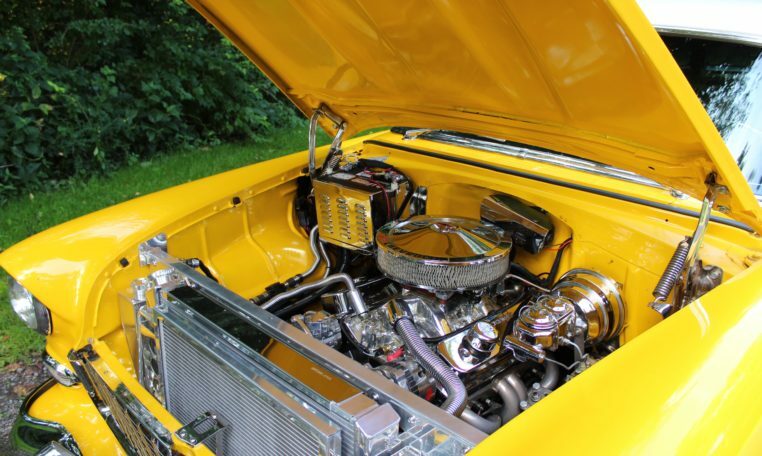 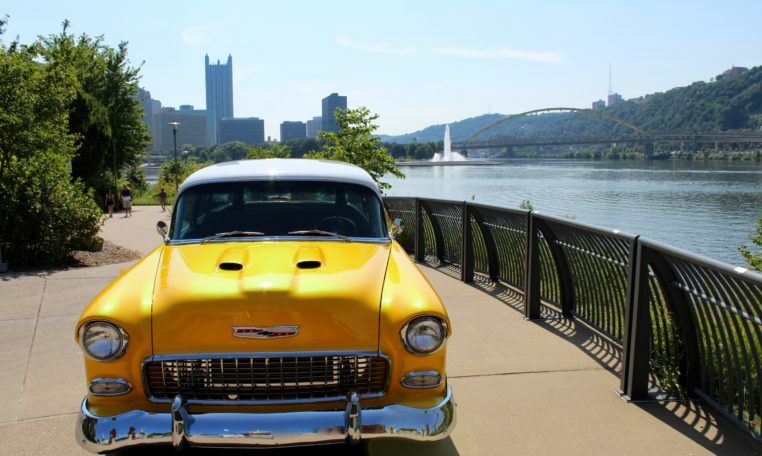 Recent service work performed by Fort Pitt Classic Cars included replacing the carburetor with a Holly Sniper EFI system, complete A/C system replacement, added seat belts, window tint, Cragar SS Wheels, as well as numerous safety and cosmetic improvements. 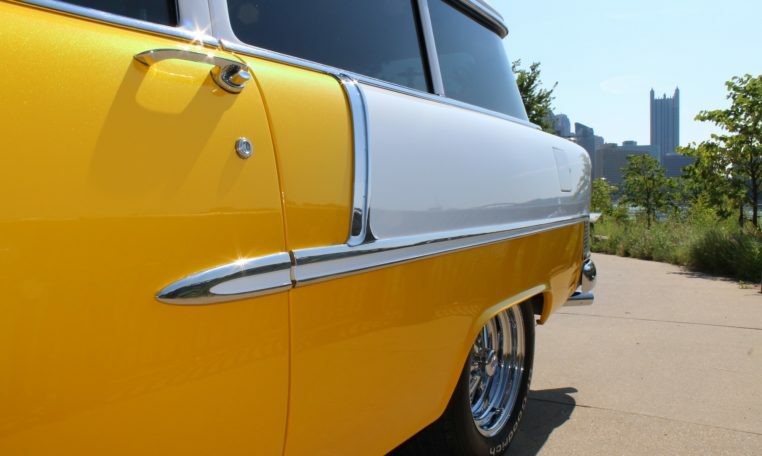 The vehicle features two tone paint, white and a pearl yellow metallic from PPG that can appear with orange and green tints in direct sunlight. 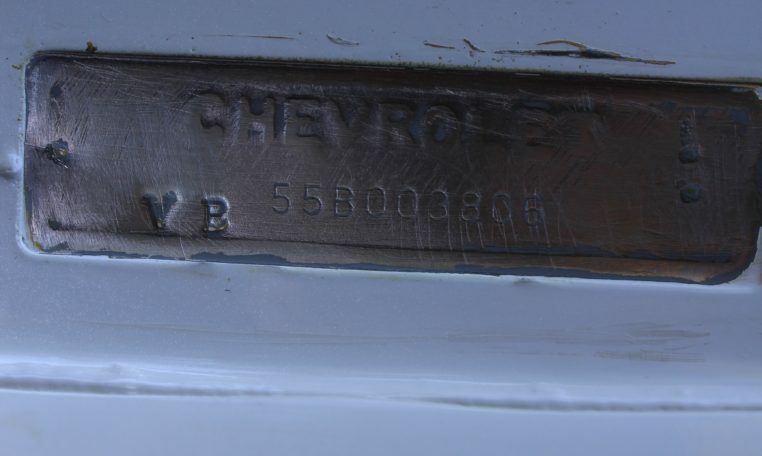 The chrome and trim are in excellent shape. 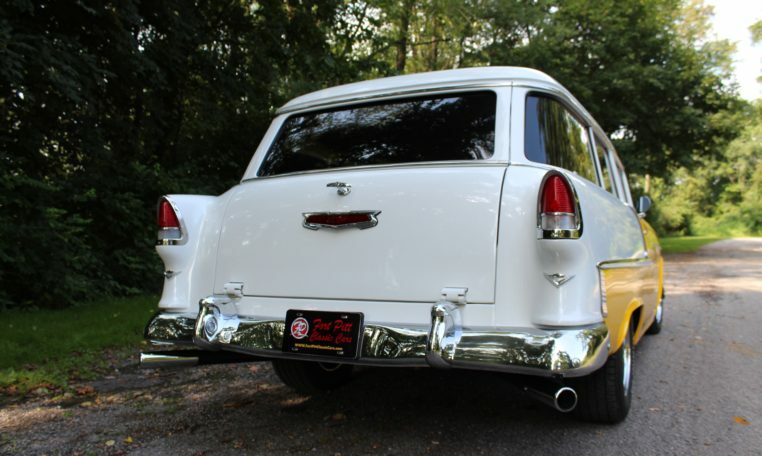 Cragar rims and window tint are new and complete the look. 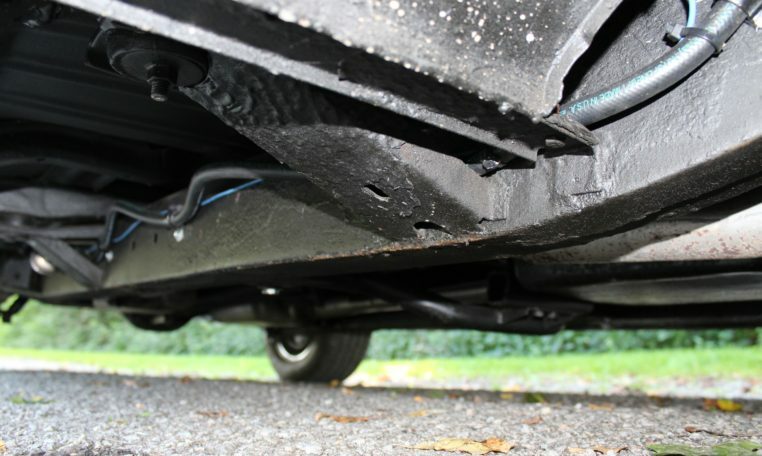 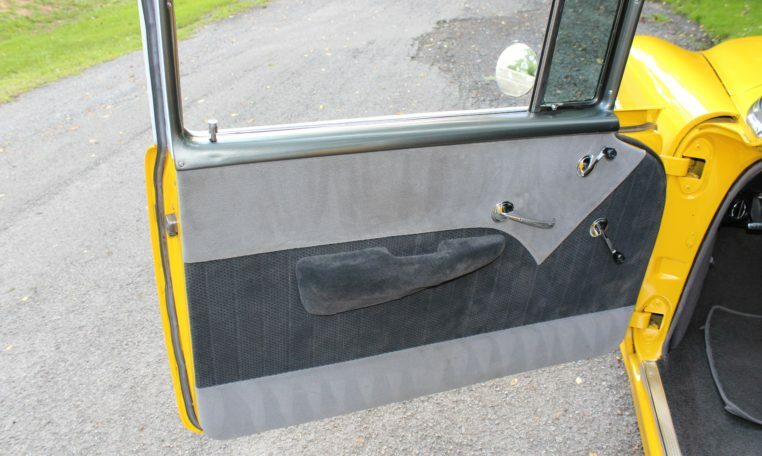 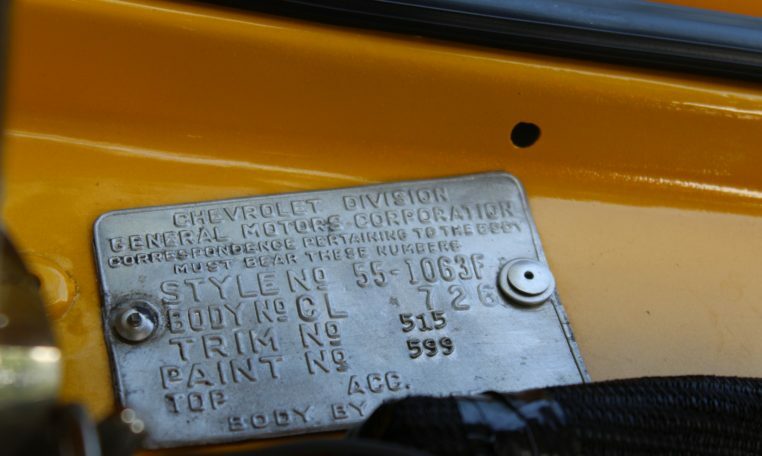 With the trim tag decoded, the car was originally two tone Sea Mist Green/Neptune Green with green interior. 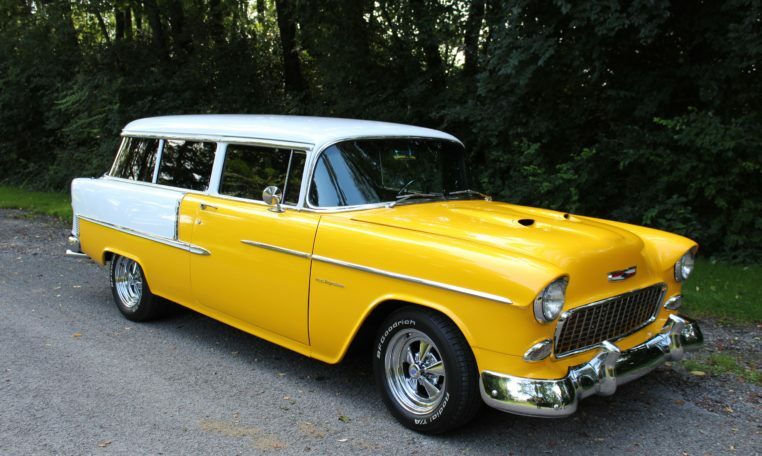 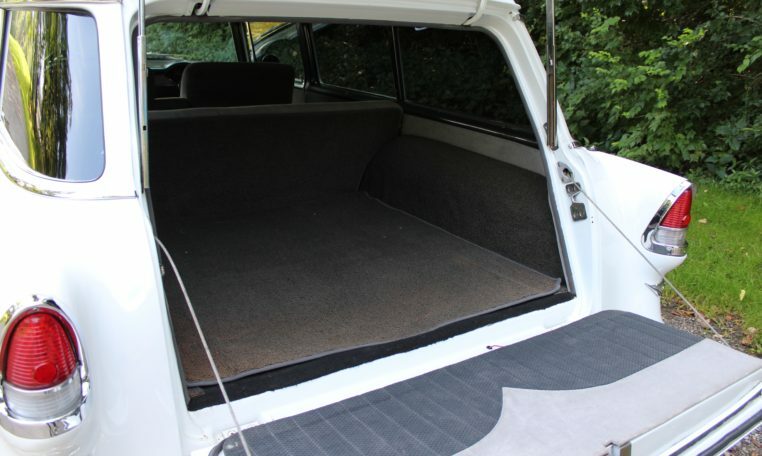 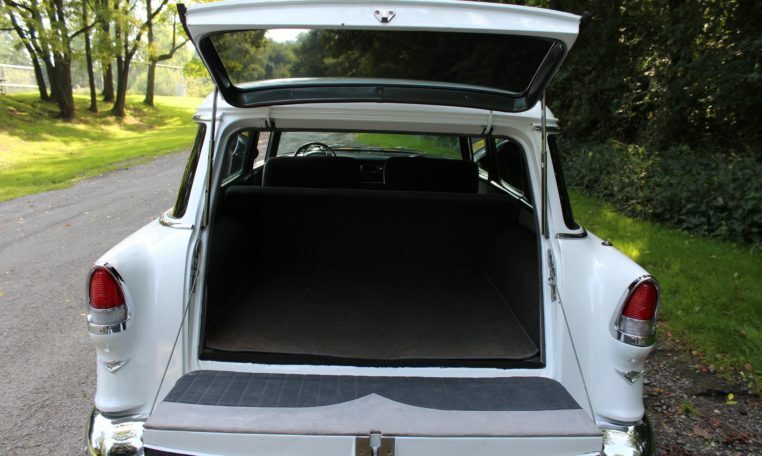 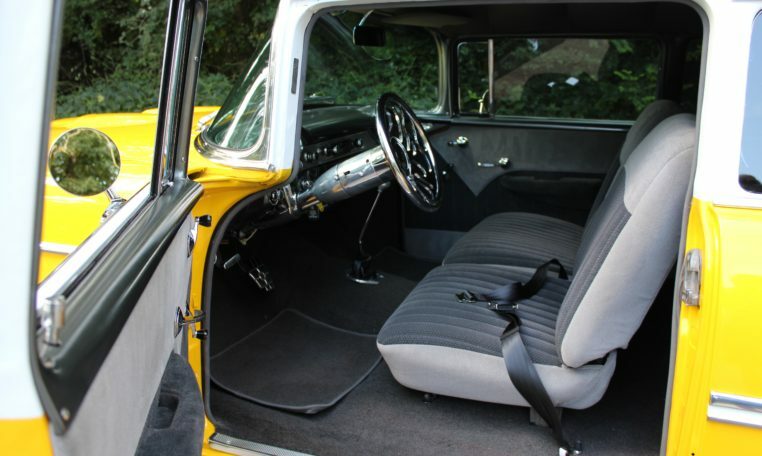 It also shows the car is an original two door wagon with 210 trim and a V8. 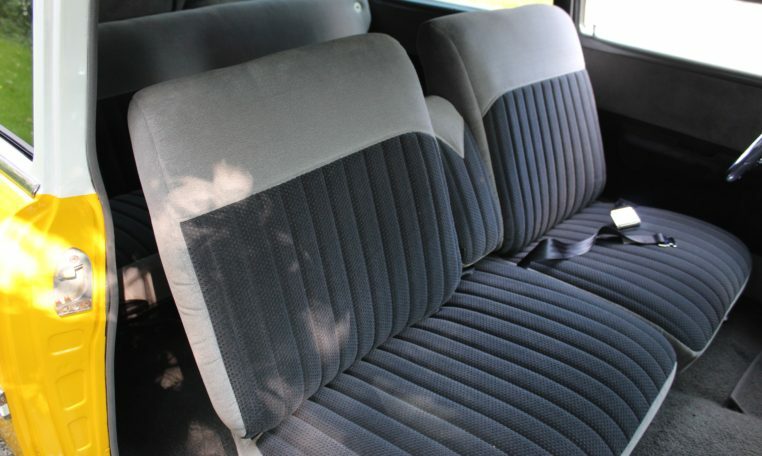 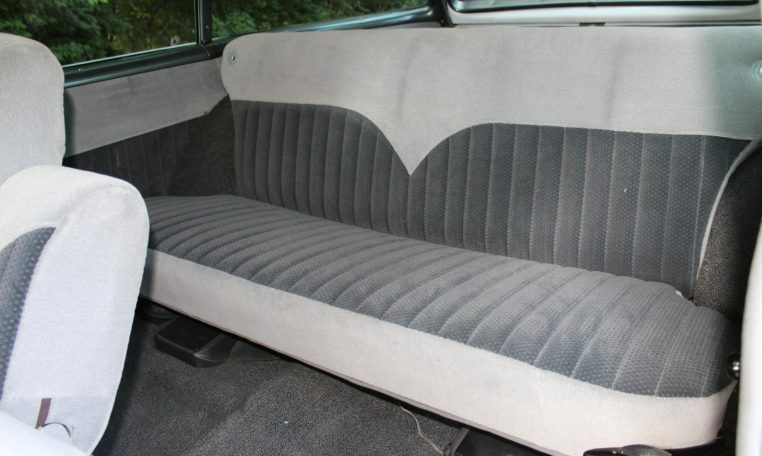 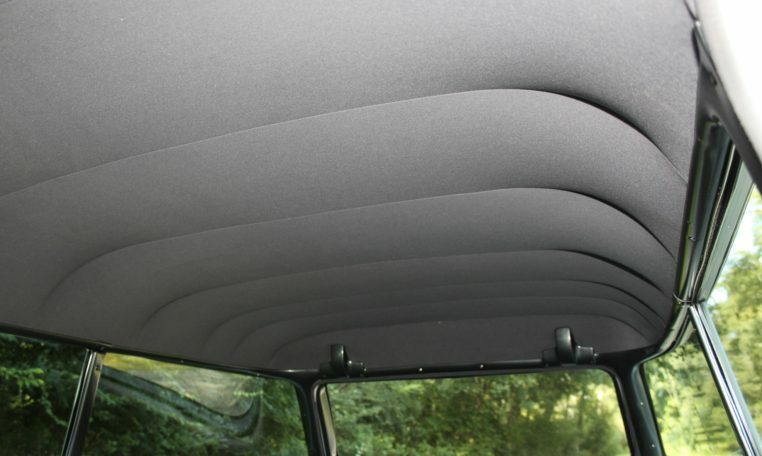 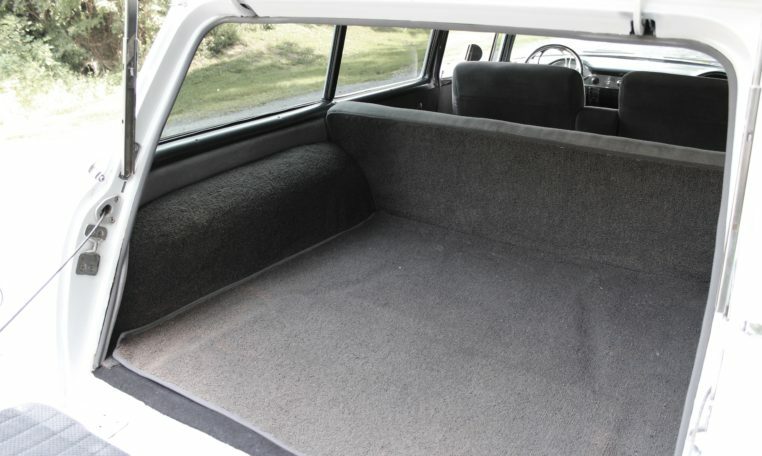 The interior was reupholstered with new microfiber cloth, carpets, and headliner. 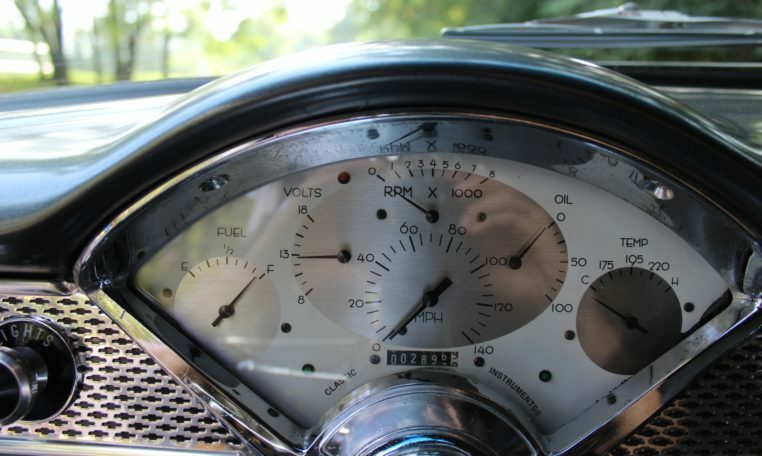 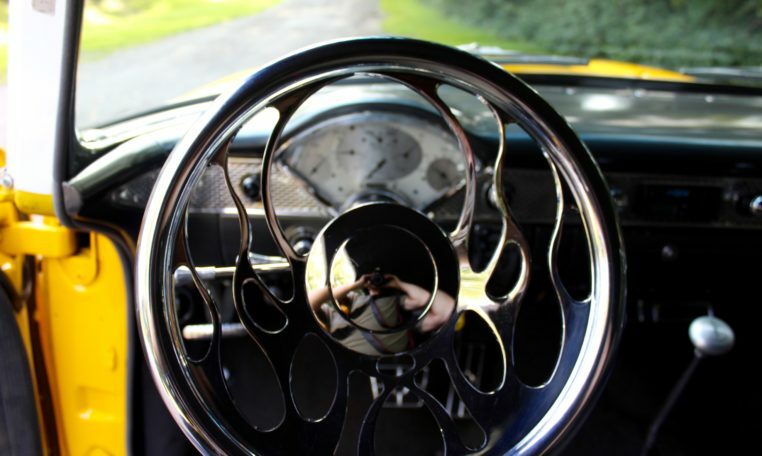 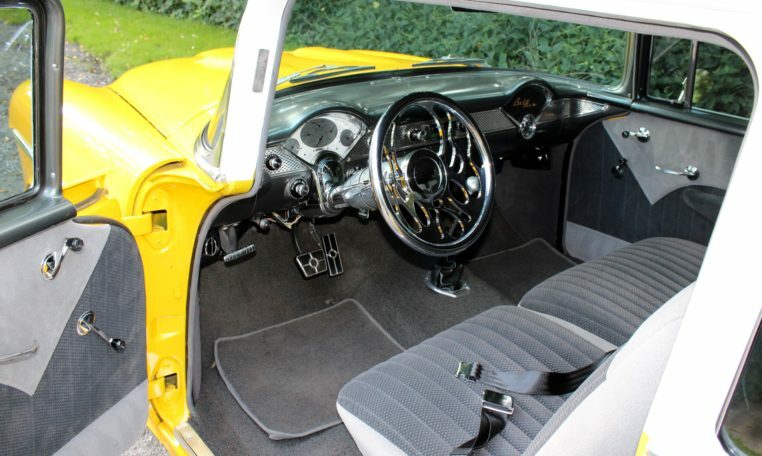 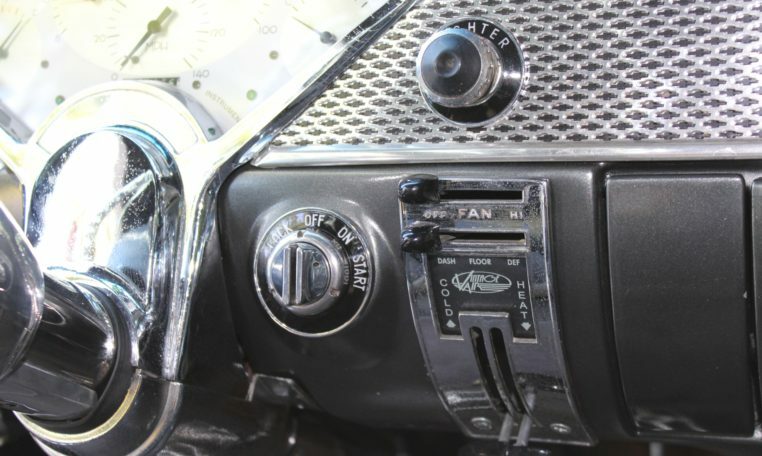 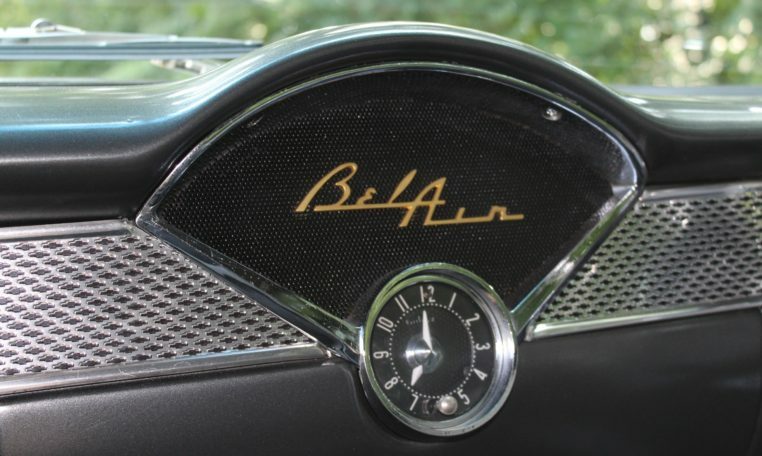 The gauge cluster is from Classic instruments and the steering wheel is made from billet. 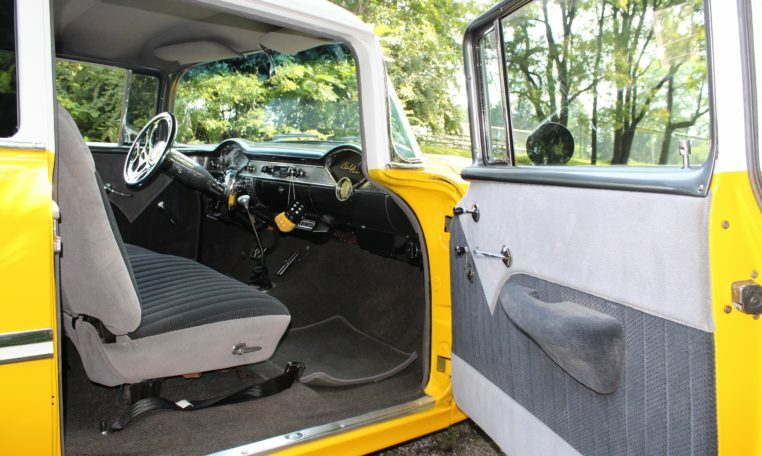 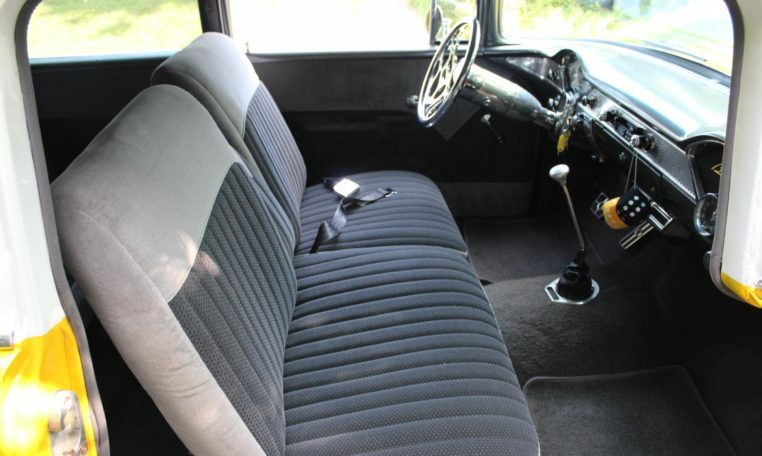 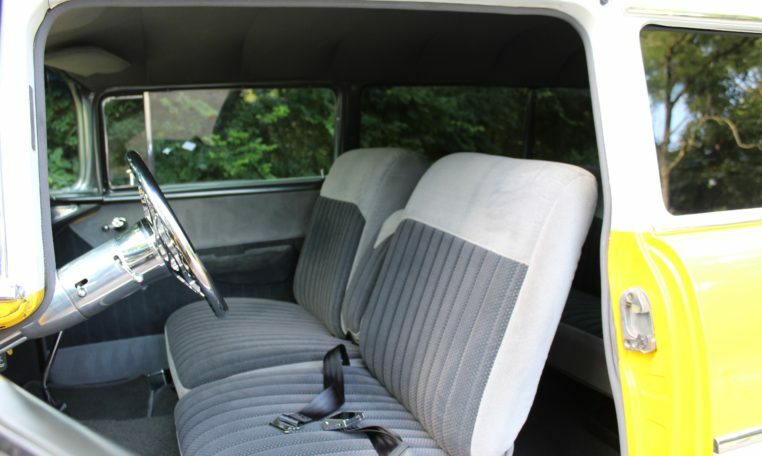 The interior is quiet and comfortable thanks to A/C and lots of sound deadening. 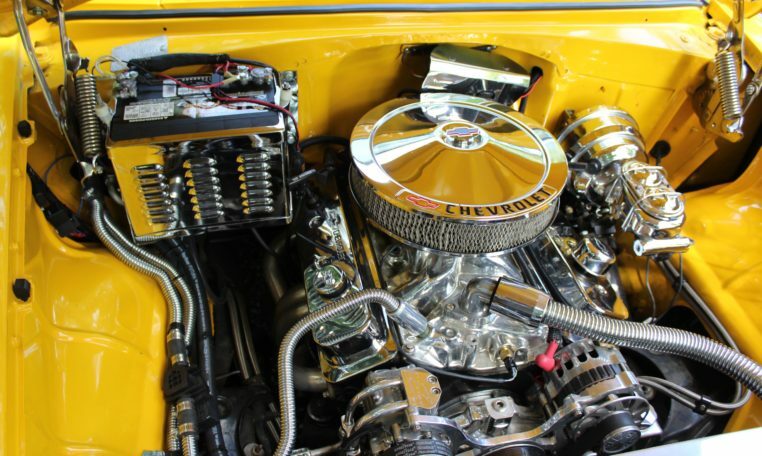 The engine is a 350 cubic inch Chevy crate motor making 350 HP with a carburetor. 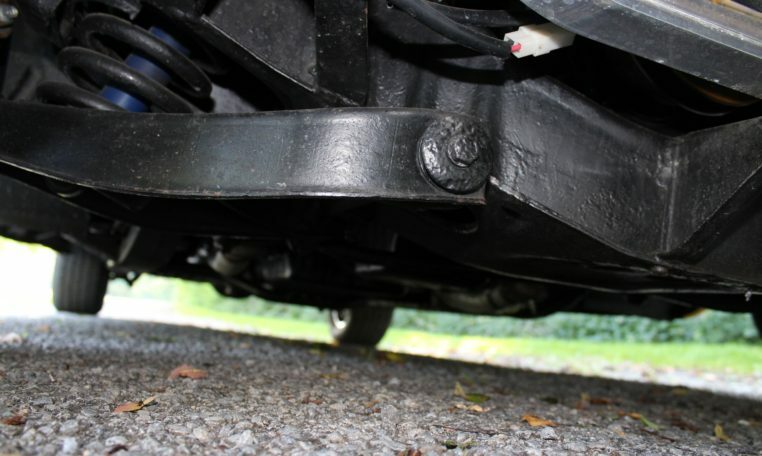 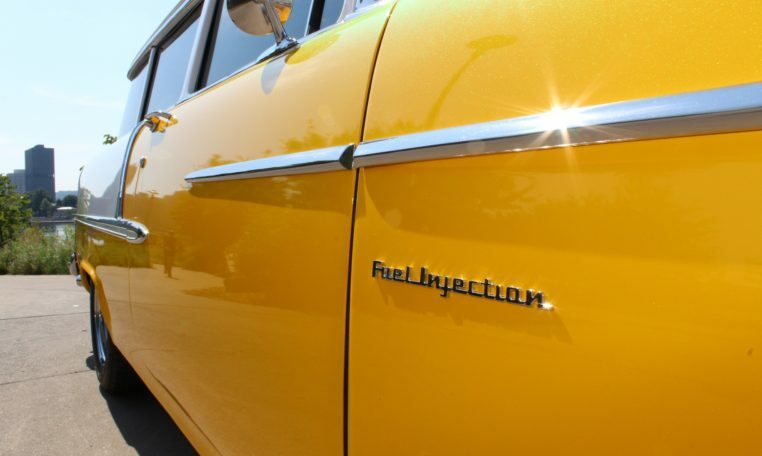 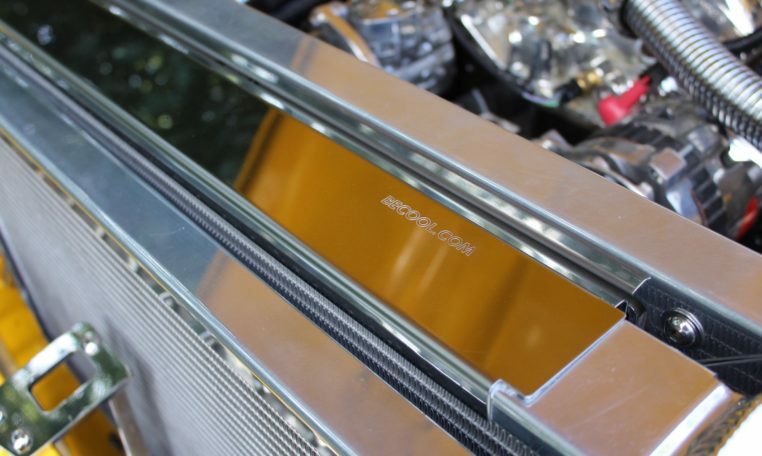 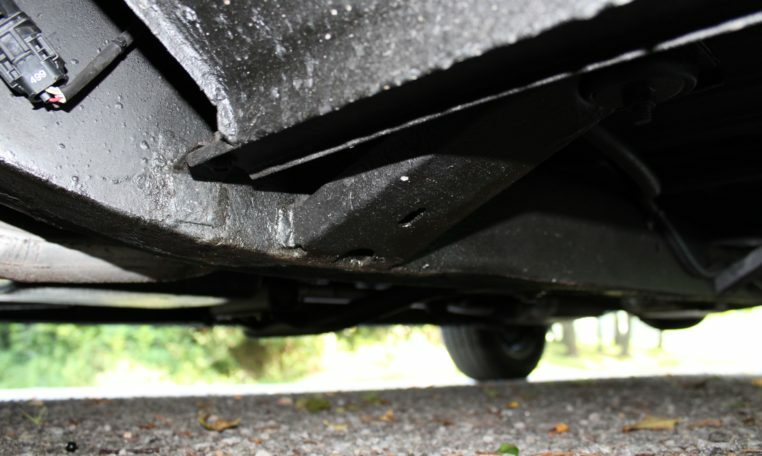 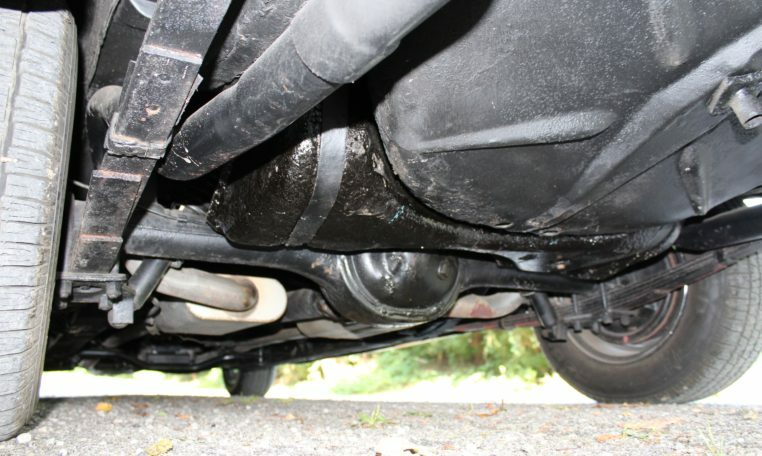 The addition of fuel injection feels to have increased the power significantly. 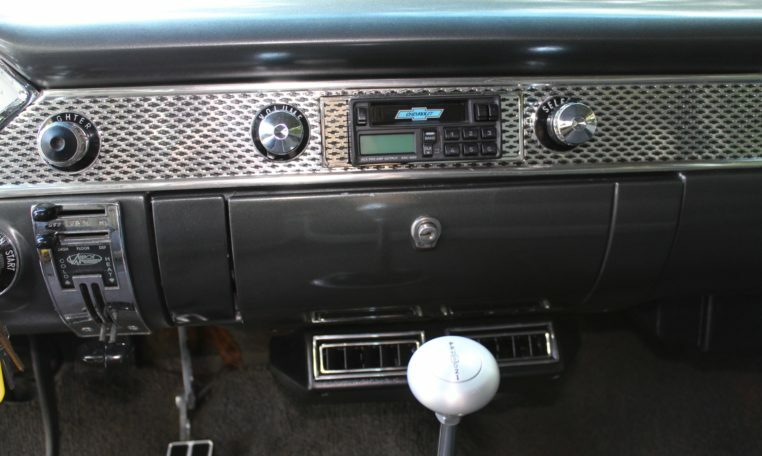 The transmission is a turbo 400 automatic. 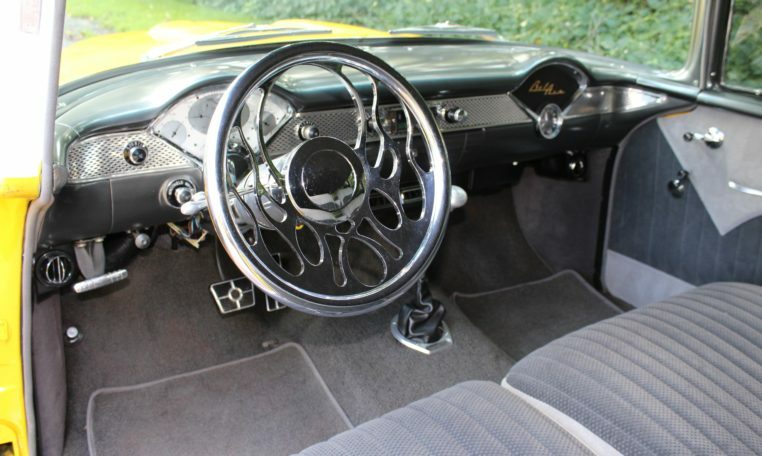 The steering is power assisted and brakes are power disks up front, drums in the rear. 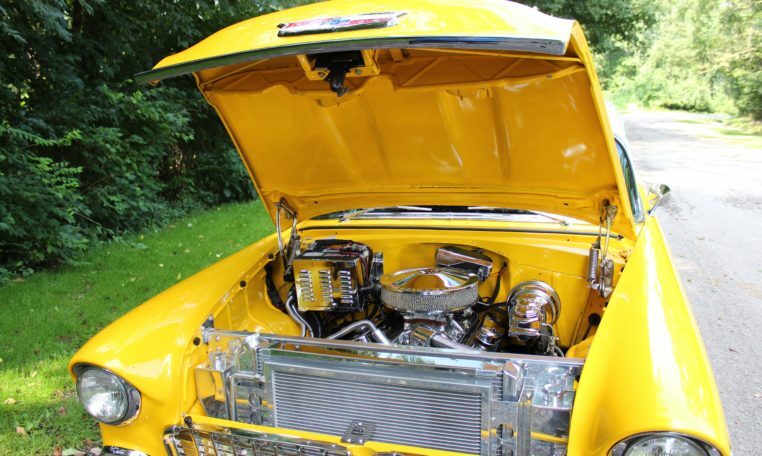 The engine bay is nicley detailed painted inner fenders and firewall and a chrome dress up kit. 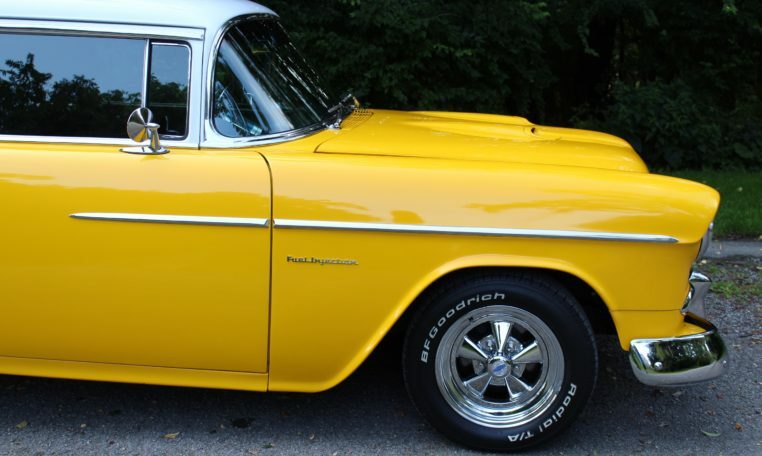 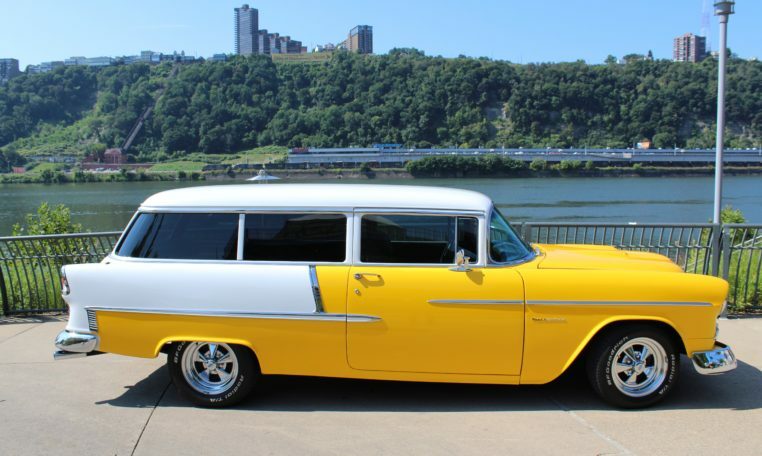 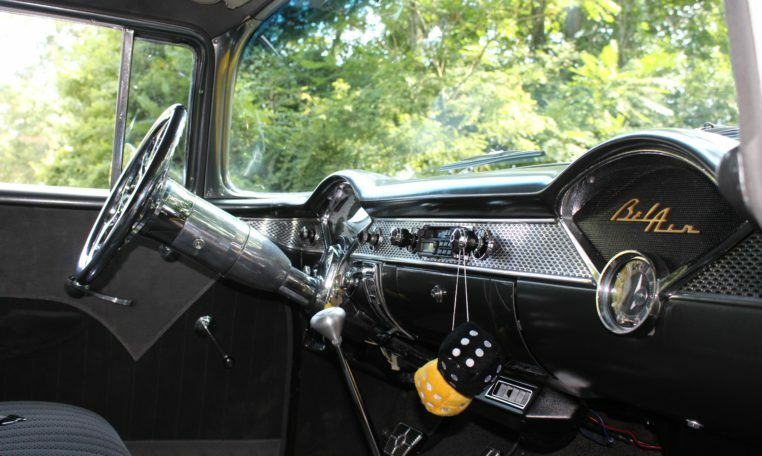 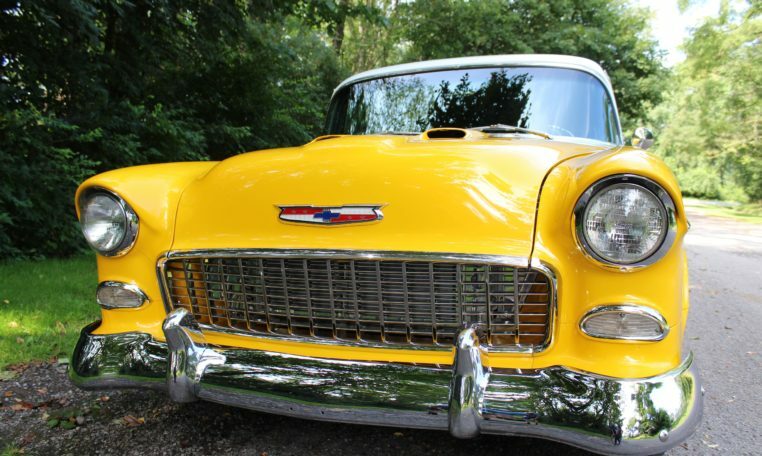 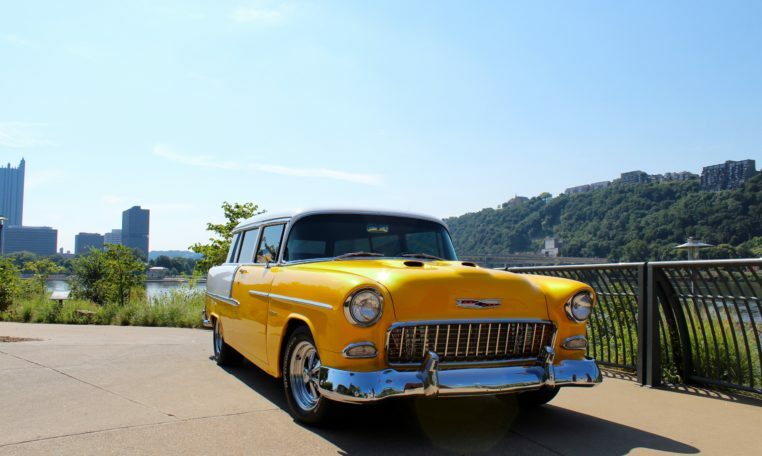 This 1955 Chevy 210 is being sold on consignment with a clean PA title by Fort Pitt Classic Cars. 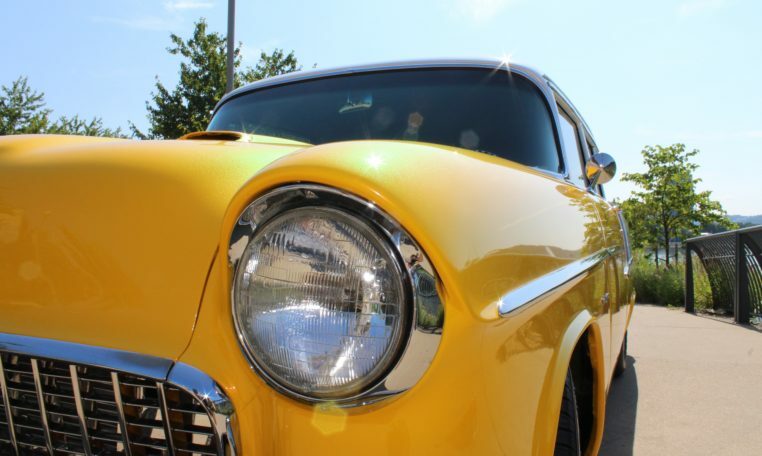 Please contact us for any questions.